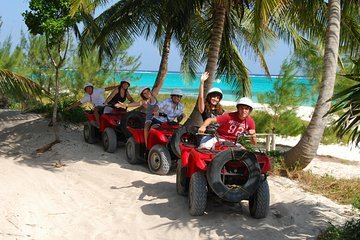 See the Riviera Maya with the wind in your face on this short, guided, ATV ride. Take a rugged path to get a glimpse of the jungle driving your machine along paths and over a gorge. Ride over sandy dunes to the beach checking out plant and animal life throughout the tour.